ITEM: Look what I made! 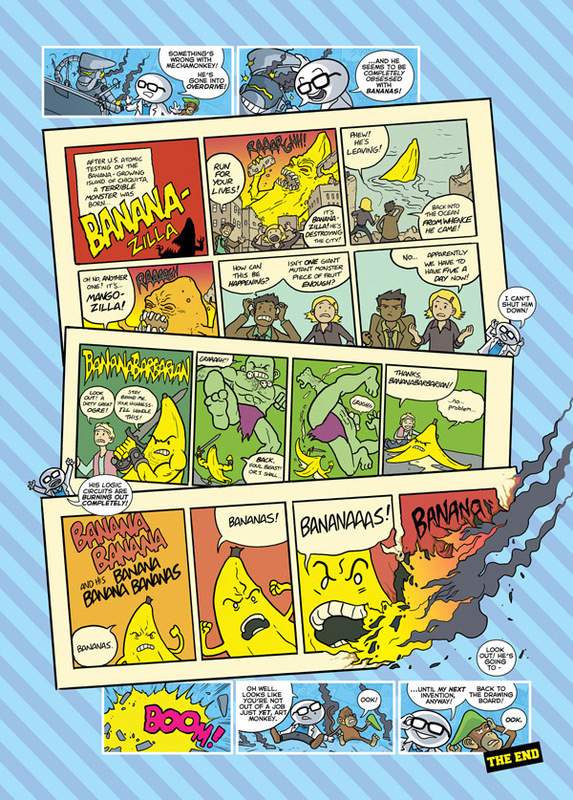 I'd been threatening to do this for a while, and finally ran out of the common sense not to:some limited edition poster prints of the already-legendary (to about 5 people) BANANA BANANA AND HIS BANANAS BANANAS BANANAS! 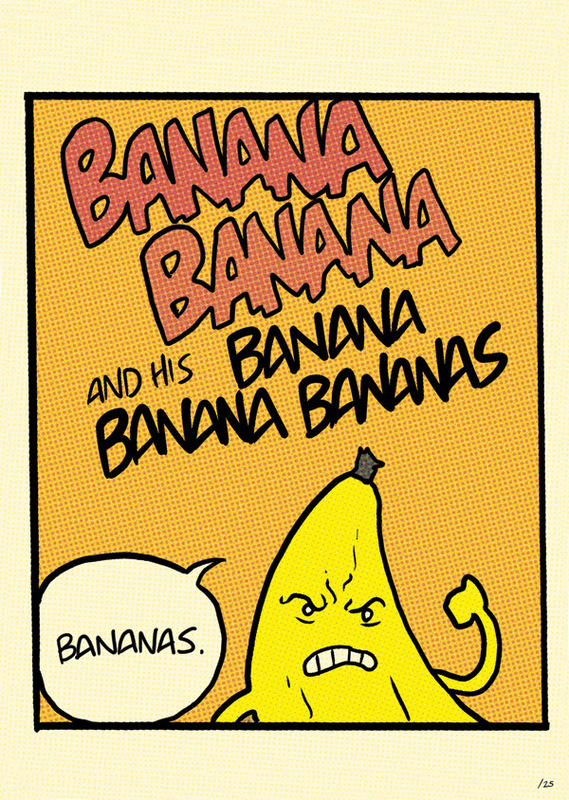 A.k.a the Sensational Character Find of 2012! (To about 5 people). See? All makes PERFECT SENSE now. Anyway, you can now buy a nice print from my web shop, or get one from me at Thought Bubble! 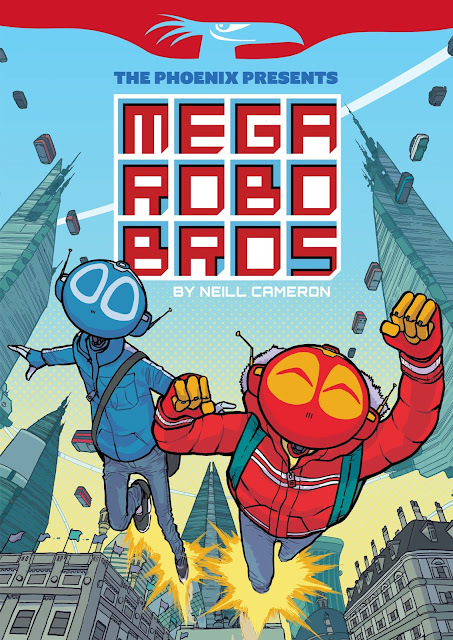 Oh yeah, I am going to be at Thought Bubble. Hold on, I'll get to that in a minute. 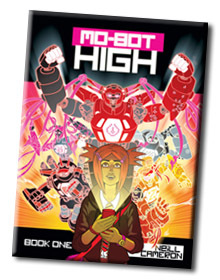 ITEM: I just picked my Desert Island Comics for the Forbidden Planet International blog, and you can check out my list over there. 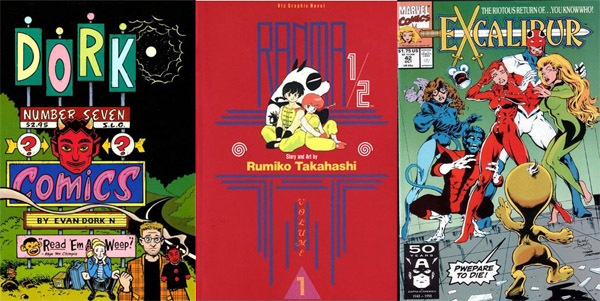 I spent a frankly ridiculous amount of time thinking about it, and it is very specifically the comics I would want with me if stranded on a desert island. Go read, and enjoy! 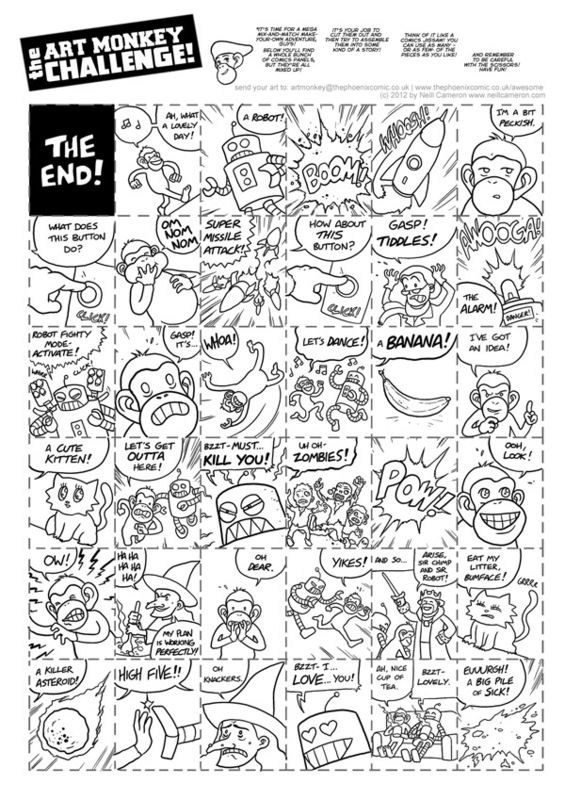 ITEM: In this week's issue of the Phoenix is my latest Art Monkey strip: my Mega Monkey Mash-Up Masterclass! It's basically an entire strip of ridiculous non-sequiturs that the reader is encouraged to cut up and reassemble into something vaguely resembling a coherent story. I rather like this one, I think it should be fun to do - kind of like a narrative jigsaw puzzle. Anyway, it might provide a fun distraction for 5 minutes. And just in time for half term! 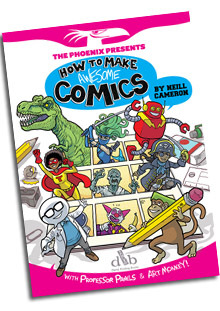 You can check it out in The Phoenix issue 42, available from all over the place, and if you don't wish to cut up your nice comic you can download it as an activity sheet straight from the How To Make (Awesome) Comics page on the Phoenix site! Right, what else was I supposed to tell you? I'm sure there was something else. This is the trouble with blogging, I always get too busy and put it off and by the time I get round to it there are like twelve different things I'm supposed to mention and I get all confused. ITEM: I've got a few more fun workshops / public appearances coming up in the next month or so, so I thought I'd add a whole new Upcoming Events page to give all the details. Oxford, Luton, Leatherhead, Dorking, London, and Leeds. Go have a look! FUN TIMES!